Washington, D.C. — Colorado U.S. Senators Michael Bennet (D) and Cory Gardner (R) this week introduced a bill to reauthorize the Federal Land Transaction Facilitation Act (FLTFA). Before it expired in 2011, FLTFA allowed the Bureau of Land Management, the U.S. Forest Service, the U.S. Fish and Wildlife Service, and the National Park Service in the Western United States to use the proceeds from sales of certain federally designated areas to protect lands of exceptional conservation value. DES MOINES, Iowa – Dec. 6, 2017 – Pig farmers and food production companies alike are wrapping up a successful 2017 that continues to show steady consumer demand for pork. The summer grilling season ended strongly, and signs point to a solid year-end opportunity for ham. According to Nielsen Perishables Group data for the 13 weeks ended Oct. 28, total sausage and rib volumes were up from the same time last year 3.3 percent and 2.6 percent respectively, while sales were up in those categories 4.1 percent and 3.2 percent. NACD’s Conservation District Directory is more user-friendly than ever, thanks to our new, interactive district maps! Available on each state’s page, the maps allow farmers, ranchers, and forest landowners across the country the ability to locate the nearest conservation district in their state. Conservation Partnership Presidents at the office of the Agriculture Secretary. From left to right: Tim Riley (NCDEA), Brent Van Dyke (NACD), Marc Cribb (NASCA) and William Hodge (NARC&DC). 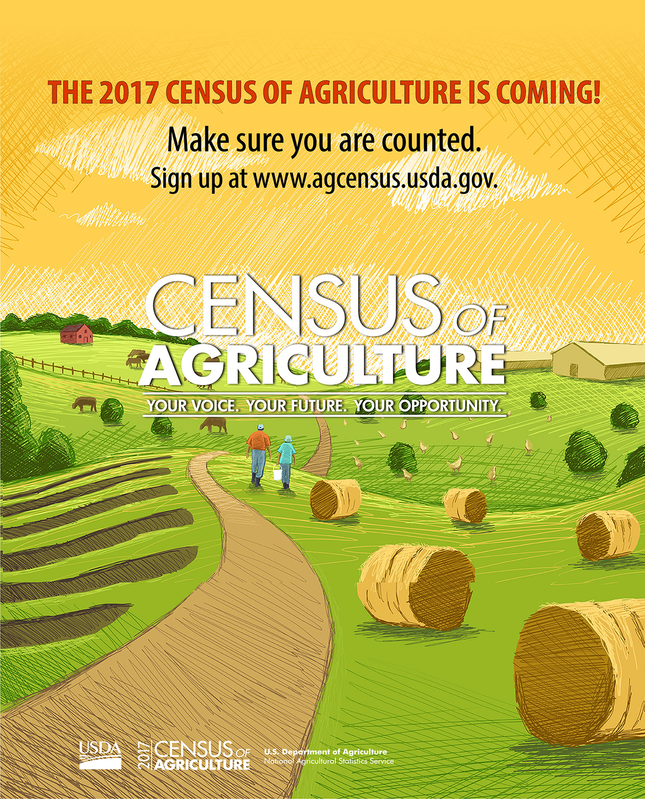 12-06-17 The 2017 Census of Agriculture is Coming – Make Sure You Are Counted! 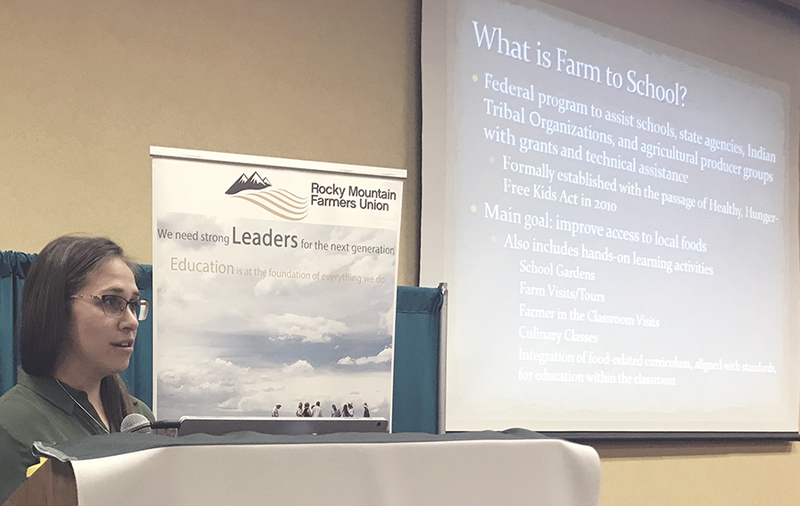 Rancher Marsha Daughenbaugh voices a concern during RMFU grassroots policy development. It’s what we do. Our grassroots policy is introduced, debated, and adopted by members who show up at the local, county, and state conventions. Here’s the link to the policy for 2018. The Colorado Fruit & Vegetable Growers Association has established a Member of the Year Award aimed at annually recognizing a member who has contributed with excellence to furthering CFVGA’s goals and who is distinguished as a leader in the Colorado produce industry. The candidate’s local community involvement also will be considered in the selection. The CFVGA Member of the Year will be recognized at the annual conference, in CFVGA communication and via a statewide news release. Staff has been working with the office of the State Auditor to provide feedback on the importance of various agricultural tax exemptions and deductions. The office is conducting a review of all state tax expenditures, and sought Farm Bureau feedback on ag-related expenditures.  If you have participated in ag-related tax deductions and/or would like to provide feedback on the importance of current deductions, credits and exemptions, please contact Shawn Martini at the state office at shawn@coloradofb.org. The Colorado Egg Producers (CEP) Association and its member farms this past week contributed $30,000 in matching funds to the Ronald McDonald House Radiothon. Additionally, CEP Vice President Jerry Wilkins, who serves as chair of the local Ronald McDonald House fundraising event, was among those working the phones during the “Light the House” Radiothon on KOSI 101.1 FM, Eggland’s Best was one of the major sponsors, and CEP representatives were also on hand providing an omelet breakfast for families staying at the Ronald McDonald House and for volunteers. In total, the recent radiothon raised about $350,000, which will help keep families of sick children close to the care and resources they need while the child is hospitalized. (WASHINGTON) – On Tuesday, Senators Jerry Moran (R-KS) and Heidi Heitkamp (D-ND) led a bipartisan effort to delay the implementation of the ELD mandate for livestock and insect haulers. In a letter to Senate Majority Leader Mitch McConnell and Democratic Leader Chuck Schumer, the Senators expressed support for language included in the House-passed Transportation, Housing and Urban Development (THUD) Appropriations bill that effectively delays the ELD mandate for one-year to allow the industry to work with the Federal Motor Carrier Safety Administration (FMCSA) to address the strict Hours-of-Service rules that transporters must abide by. The Purdue/CME Group Ag Economy Barometer dropped seven points in November, signaling a slump in U.S. agricultural producers’ confidence compared to a month earlier. At 128, the measure of producer optimism was the second weakest observed this year, and just four points above the lowest reading in 2017, of 124, last March. However, organizers say that although indicating producers were less confident about the agricultural economy than in October, the survey still suggest agricultural producers remain more optimistic than they were prior to the fall 2016 election. The November slide in producer sentiment was driven by producers taking a less optimistic view of the future. The Index of Future Expectations declined ten points compared to October as the index fell to 127. However, the Index of Current Conditions reading of 129 in November was unchanged from October. A rating below 100 is negative, while a rating above 100 indicates positive sentiment regarding the agriculture industry. A vote by the International Trade Commission confirms the U.S. biodiesel industry has suffered because of unfairly subsidized imports of biodiesel from Argentina and Indonesia. In a case filed by the National Biodiesel Board, the Commission voted 4-0 Tuesday. NBB called the vote “important progress” to addressing the trade issue. Last month, producers testified on the volume and price effects of biodiesel imports from Argentina and Indonesia, and the related impacts to the industry at a hearing before the ITC commissioners. The NBB Fair Trade Coalition filed petitions with the Commerce Department and the ITC in March to address a flood of subsidized and dumped imports from Argentina and Indonesia that has resulted in market share losses and depressed prices for domestic producers. Biodiesel imports from Argentina and Indonesia surged by 464 percent from 2014 to 2016, taking 18.3 percentage points of market share from U.S. manufacturers. A grant from the Foundation for Food and Agriculture Research will fund a study on consumer understanding and willingness-to-pay for alternative production practices in animal agriculture. The $50,000 grant was awarded to and matched by the Food Marketing Institute Foundation and the Animal Agriculture Alliance, making a total research investment of $100,000. The Foundation for Food and Agriculture Research was created with bipartisan support in the 2014 Farm Bill. The Foundation says farmers, ranchers and agricultural businesses are seeking to respond to consumer demand for cage-free egg production and slow-growth broiler chickens. The Foundation also says there is a need by food retailers to better understand consumer knowledge, beliefs and willingness-to-pay for those attributes. Gaining knowledge of consumers’ preferences and beliefs will help to guide choices in research, production, and retail sales. Missouri is leading 13 states to the U.S. Supreme Court to challenge a California law regarding egg production requirements. Missouri Attorney General Josh Hawley (haw-lee) announced this week the state would continue its challenge to the California law that requires out-of-state egg producers to comply with California’s farming regulations in order to sell eggs in California. The suit claims that California’s regulations violate both a federal law and the Commerce Clause of the U.S. Constitution, which gives Congress exclusive authority to regulate commerce among and between states. A federal appeals court panel rejected similar claims last year in a separate case, ruling that the opposition failed to show California’s law would affect more than just individual farmers. Hawley, who is leading the charge as Missouri’s Attorney General and will also run for a U.S. Senate seat next year, says the California law is “a clear attempt by big-government proponents to impose job-killing regulations.” Missouri is joined by Alabama, Arkansas, Indiana, Iowa, Louisiana, Nebraska, Nevada, North Dakota, Oklahoma, Texas, Utah, and Wisconsin in the Supreme Court filing. China will begin eliminating the use of 12 pesticides over the next five years as it looks to improve safety of farm produce. The move comes amid an ongoing campaign to improve the environment and tackle soil pollution, according to Reuters. China has already withdrawn 22 of what the nation classifies as highly toxic pesticides from farm use, and it prohibits the use of any such products on fruit, vegetables and tea. An agriculture ministry official from China says there are still many toxic chemicals in use on other crops, while calling for more research and development to produce highly-effective alternatives with low toxicity. Beijing announced two years ago a goal to achieve zero growth in the amount of pesticides used by 2020, and says it has already seen negative growth over the last three years. A study from across the pond claims farm fertilizers are polluting the rocks beneath our feet, and may lead to severe global consequences. Researchers at the British Geological Survey claim nitrates from fertilizers could have severe global-scale consequences for rivers, water supplies, human health and the economy. As the nitrates settle into the earth, the researchers say it will be released from the rocks into rivers via springs, which the study claims will cause toxic algal blooms and fish deaths, along with costing billions in water treatment processes. Most nitrates, the researchers say, is in rocks in North America, China and Europe where fertilizers are used on farm fields. In a report of the study, the BBC notes that the European Union is trying to clamp down on applications of nitrates while farmers push back, calling the fertilizers vital to agriculture. However, any controls won’t stop the current flow of nitrates already stored in the soil that will eventually reach water supplies, according to the study.